The Minnesota Federation of Women's Clubs adopted the American goldfinch as their club bird and, in 1926, campaigned to have the goldfinch named as the Minnesota state bird. "Minnesota, through Mrs. Willard Baylss, then State President of the State Federation of Women's Clubs, put on a campaign to secure a state bird in 1926. The campaign was spirited and far-reaching in its influence, with much press publicity and many candidates, --in fact an embarrassment of fine candidates. The Ten Thousand Lakes residents wanted the blue heron; those near the woodlands, the veery; some thought the white-throated sparrow, the voice of the tamarack swamps, a fine choice, but the majority vote was for the 'goldfinch,' with his gay plumage and musical flight, 'per-chic-o-ree,' as he bounds through the air." -- The Minnesota Club Woman , Biennial Convention Issue, May-June, 1932. It's not clear that the goldfinch ever achieved status as the state bird of Minnesota. One may assume that it did not or that it was not adopted by an act of the legislature because, in 1947, the goldfinch was again suggested as a candidate. Elizabeth M. Bachmann, of the Minnesota Department of Conservation, wrote in her 1961 article, Minnesota's New State Bird: The Loon , "For years, the little goldfinch was considered the unofficial state bird of Minnesota." Other birds vied for the position of official state bird as well. The list included the mourning dove (1951), the pileated woodpecker (1951 and 1953), the scarlet tanager (1951) and the wood duck. On January 17, 1961, House Bill No. 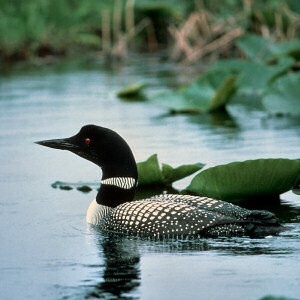 79 was introduced proposing that the common loon (Gavia immer) be adopted as the official state bird of Minnesota. It was approved by the Minnesota House of Representatives on February 18, 1961. A similar bill was introduced in the Senate. Senate Bill No. 843, was introduced shortly after the House vote on February 28, 1961. It was approved by the Senate on March 7, 1961. On March 13, 1961, Governor Elmer L. Andersen signed the legislation that adopted the common loon (Gavia immer) the official state bird of the State of Minnesota. The following information is excerpted from the Minnesota Statutes , Jurisdiction, Civil Divisions, Chapter 1, Section 1.145. CHAPTER 1 - SOVEREIGNTY, JURISDICTION, EMERGENCY OPERATION, GENERAL POLICIES. Subdivision 1. Loon. The loon, Gavia immer, is the official bird of the state of Minnesota. Subd. 2. Photograph. A photograph of the loon shall be preserved in the Office of the Secretary of State. Gavia immer (Common Loon): University of Michigan Museum of Zoology: Animal Diversity Web. 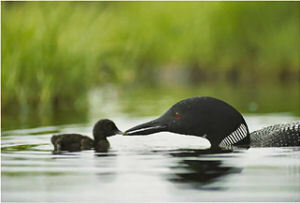 Loon photographs and prints : Beautiful photographs and prints of loons and their offspring. 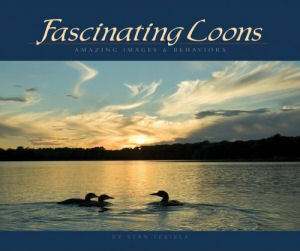 Fascinating Loons: Amazing Images & Behaviors , by Stan Tekiela, Adventure Publications (June 26, 2006). Sounds of the Earth: Loons , Audio CD (March 8, 2005) Original Release Date: March 8, 2005, Number of Discs: 1, Oreade Music. Loon calls from beginning to end and water lapping against the shore, other birds in the background. Nature Sounds only - no human voices, no cars, dogs barking or planes and NO music.